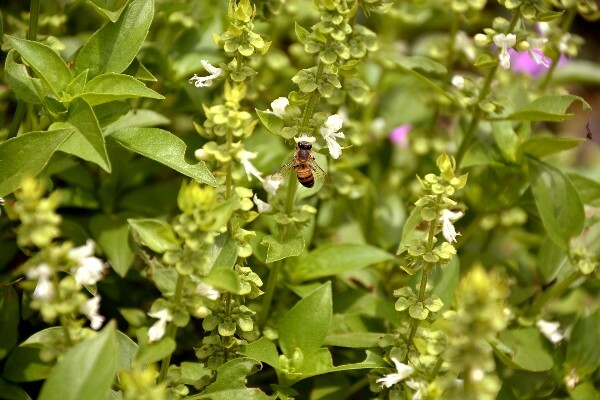 Home » Vegetable garden » Sweet Basil, all you need to know to grow it. 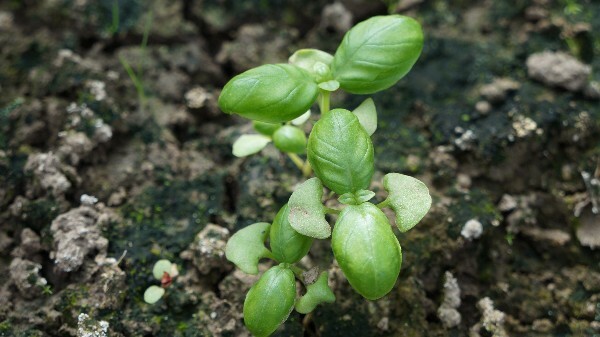 Sweet Basil is an easy, straight forward plant to grow. 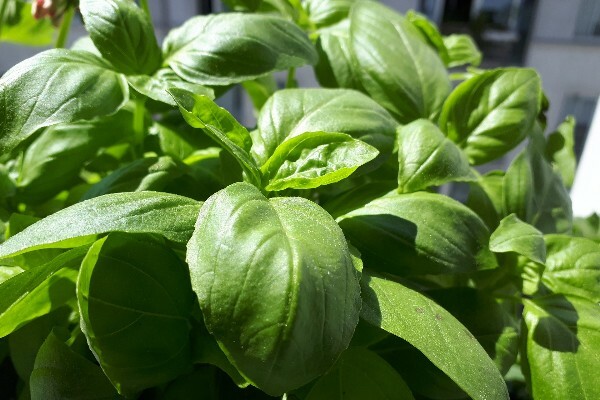 In this blog you will find all the things you need to know for planning, companion planting, use and storage of Sweet Basil. It also provides you with information about the type of soil it needs and the pH it will grow in. One place to find it all. Sweet Basil is just a choice of many types of Basils that are available for growing. I like the Genovese. It has big tender leaves to harvest and I love the taste and structure for making pesto. From all the anual Basil I tried to grow, this one came out the best. It grows relatively easy. The other thing is that I think, most smaller leaved anual basil have a hard leave for harvesting. I don’t like hard leaves in salad and for making pesto. For me salad contains tender things. For pesto making the small leave variaties don’t quit make a smooth paste. How many plants will you need? Companions: tomatoes, apricot, asparagus, cucumber, fennel, zucchini, stinging nettle. Sweet Basil needs sunlight to grow. When growing them next to high plants like tomatoes and asparagus, make sure they are on the sunny side of the high plants. Water needs: medium in loamy soils. In sandy soils water properly otherwise they will go into flowering very quick. Food needs: no fresh manure, compost, tolerates fresh compost. What type of soil: Sandy soils of any kind, loam/clay soils when they are rich in organic matter. Loves it fluffy. For more information about soil types click here. For finding out more about analysing your vegetable garden soil click here. Weed tolerance: does tolerate some weeds as long as it is bigger than the weeds. Picture 1: Full grown Sweet Basil, time to harvest. Picture 2: Young Sweet Basil plants. The first two leaflets are still visible. Picture 3: Flowering Basil. Leaves will be less tender. When you take the flowers out it will continue growing. You can use the flowers as well. Pre seeding: When the season, where you are, is short you can pre seed in pots. Make sure you buy the right soil. Soil for growing pot plants is to rich for seedlings. The special soil for seeding is the one that works. Handy and time saving is to seed them in trays. Peet seeding trays can be used integral. You do not need to take the plants out but plant the plant together with the pot. This way you do not disturb the roots, which gives the plant a growth advantage. This might be handy if you only have a short growing season. You can also use the cheaper reusable seeding trays, when your season is longer. I would put some flat trays under the seeding trays to catch the surplus water when watering the trays. Here you find some affiliate options. 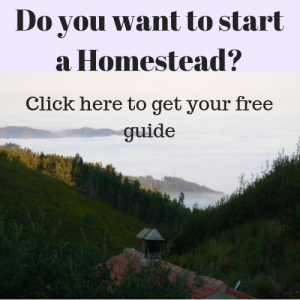 When you use these links you will support our farm. Please feel free to click on the picture. Seeding directly: In long season areas you can seed directly. I usually seed a small row next to where I want to grow them so I can easily plant them out. To recognise the small seedlings: make sure the seedbed is well weeded and raked. Tip for saving time: buy a pot with basil in the supermarket and plant them in your garden. The growers usually squeeze a lot of plants in the pots. Turm the pot you bought up side down and carefully take the earth and plants out. After that carefully separata the plants. Now you have lots of plants to plant out. They will still grow a fair amount. This can be done until later in the season. When you just want to grow a few plants this might be a good option. Germination temperature: 21-29°C. This is essential for growing Sweet Basil. It will not germinate when the temperature is not high enough. Best is when the soil has warmed up till 21°C. Give the soil a week or so to warm up a bit. Note: in clay soils the temperature of the soil stays cool longer, this might stop your Basil from germinating. Seedlings: Seedlings start to grow with two heart shaped leaflets. In picture two these small leaflets are still visible. Harvest when full grown and leaves are lush (see: picture 1). You can stil harvest when it is flowering, leaves will not be as tender. The flowers (picture 3) have a strong taste and are good to harvest too. It depends on what you want to make from it. With the two of us we, ideally, grow between 30 and 50 plants. We grow them only once a year. We make a lot of pesto for the rest of the year. When we have no time to cook a big meal we use the pesto with some pasta and dried tomatoes. Easy and quick. So a lot of basil fits in our household. When you just like it every now and then in the salad you might be all right with just 10-12 plants. When you have a long growing season you can plant a few plants early and some later in the season. When you dry Sweet Basil it will lose most of it’s charming taste. So, I think that is not really an option. I think eating it fresh or making it into pesto are the best two option for Sweet Basil. To preserve I freeze the pesto (see: recipe). You can also use jars to keep the pesto, but do not add the cheese. I do not know why it works with the jars of pesto that you buy in the supermarket. It always goes of when I add the cheese, no matter what I do. When you preserve pesto in jars be aware that there is, however small a change of getting botulism into your jar. For this add some lemon juice to the mixture. It will keep the color nice and prevent the bacteria that cause botulism to produce the poisonous botox by lowering the pH. Fill up an blender jar for 2/3 with Sweet basil leaves. Add three or four hand full of nuts. Just any nuts will do. The official recipe is with pine nuts, but these are very expensive where I live. Almonds and wall nuts are much cheaper here so I use those. Add the juice of halve a lemon and two or three cloves of garlic. Blender it & freeze it in portions. It is not easy to cut it when frozen, so it is better to freeze it in desired portions. Add some grind cheese when used. This is so easy to make and it is delicious. Slice some tomatoes in 1-2 cm thick slices. Lay them on a large plate. Slice the mozzarella in 1-2 thick slices. Put the slices on top of the tomatoes. Sprancle on a fair amount of Balsamico. Cover the whole with Basil leaves (one leave per tomato slice).